IWAI Kildare members are invited to attend a roundtable discussion from 2 to 5 pm on Sunday 24 March 2019, in Confey GAA Club premises. The aim of the discussion is to elicit members’ views on the shape and function of IWAI Kildare over the next 3 to 5 years. During the afternoon we will review current objectives, identify new objectives and, hopefully, identify how they will be delivered. This will not be a routine monthly meeting and it will not be a lecture, but is designed to receive your positive suggestions and contributions and to be forward looking. The roundtable will be facilitated by Colin Becker. Refreshments will be available throughout the afternoon. 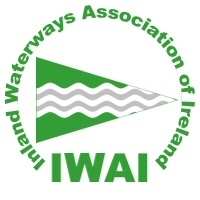 We look forward to many members participating in this important step in setting the future direction of IWAI Kildare. Please contact Kieran Baker at kildare@iwai.ie before Friday 22 if you will be attending.